Andrew DeSantis is an OG bitcoin supporter. He previously founded BitcoinMagazine and is currently working on a number of projects related to Bitcoin. 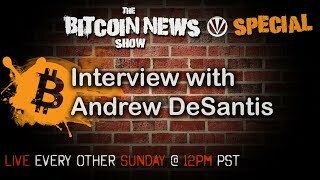 A special interview with Andrew DeSantis to get his take on the UASF, and his thoughts on the most likely outcome scenarios for Aug 1st. This is an advanced discussion but an introduction to one of the best minds in the business.